If you travel with kids, then you may have found cheap family vacations more difficult to arrange in recent years. The price hikes for trips during school breaks are well documented but there’s also the steady upward trajectory of the costs of food, accommodation and entry to attractions, all of which add up when you are travelling as a family. But it’s not all doom and gloom: thankfully there are ways to make your hard-earned cash go further while you explore the world together. 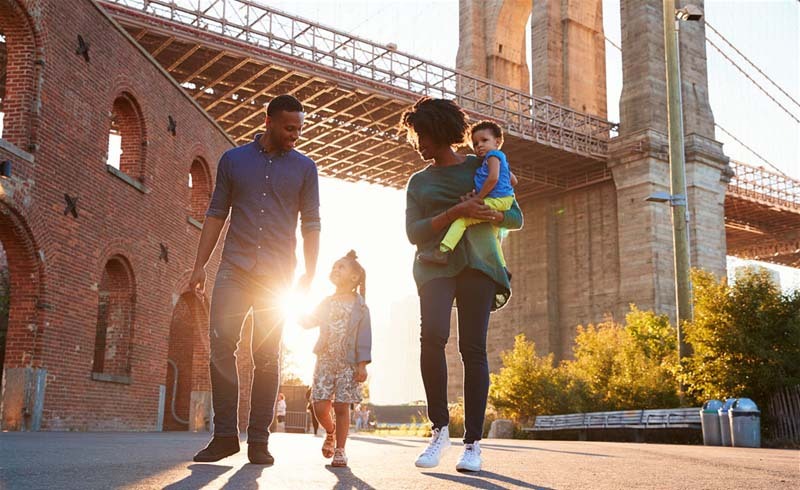 Here are 10 tips for planning a family vacation on a budget. Last-minute deals don't tend to exist during the school holidays, and those that do are usually to undesirable places. If your kids are in school then you’ll know their term dates far in advance; use this information to book months or even years ahead, when prices are still relatively low due to the lack of demand. If your kids aren’t in school yet or you educate them at home, make the most of travelling outside the peak periods, when costs are low and crowds fewer. Baby groups may have kept you sane through the newborn haze – but that collective wisdom extends beyond moral support and nappy-changing techniques. Quiz fellow parents about trips they’ve taken, how much they cost and what they would do differently to save money next time. Likewise in the online world there are plenty of forums and family travel bloggers ready and willing to give you their budget tips on destinations they have visited. It’s basic economics: the higher the demand, the higher the price. One solution? Get off the beaten track. Avoid tourist hotspots and opt instead for somewhere less trendy or famous; think rural Lazio over Tuscany, Adelaide over Sydney and Maine over California. With a bit of research, you’ll find fun things to do with the kids and enjoy the luxury of not having to battle through masses of other people to get an ice cream or a family selfie. Plus, you’ll acquire the kudos that comes with being just that bit more adventurous. Save money on a night’s accommodation and create memories you will all treasure by travelling to your destination (or between two points on your itinerary) in a different way. Taking an overnight train or ferry (or even bus if you’re brave enough) is a huge event for kids and a story they will retell again and again when back home. Alternatively, a family road trip using your own vehicle avoids the cost of hefty air fares and rental cars. While staying in a hotel certainly removes the strain of cooking and cleaning, self-catering using sites such as HomeAway, Love Home Swap or Airbnb is often a much more cost-effective option for families. Renting a house or apartment also provides more space for those who need it (teens in particular welcome extra privacy). 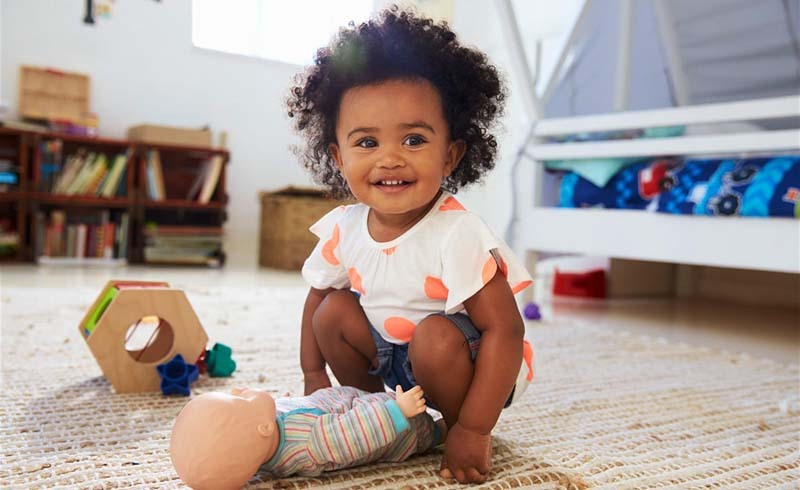 You can often find places with toys, games, high chairs or whatever else your family may need. Youth hostels with family rooms are also a more affordable alternative to hotels and will introduce kids to other travellers. Kids tend to love spending time in the fresh air, which is great news for penny-pinching parents. 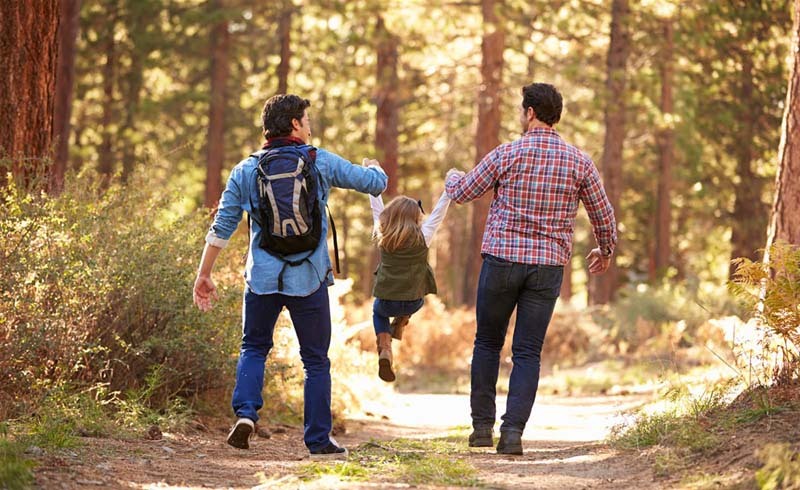 Plan day trips that involve nature walks rather than expensive attractions; find the local playground so your little ones can meet other children; and take a picnic to avoid restaurant prices. Another great way to save money while exploring the great outdoors is to camp. It allows kids to be truly immersed in nature while also getting involved with some basic chores (e.g. post-BBQ clean up) so it’s a win-win really – and worth trying at least once, even if you think you won’t like it. While you can’t necessarily take advantage of big group discounts, there are many little ways families can use the power of numbers. You may be able to get a discount pass for local transport, find family coupons online for the attractions you want to see and take advantage of marketing campaigns such as kids-go-free weeks for theatres or big exhibitions that don’t charge entry for children. Anyone trying to save money knows it’s those little extras that really add up and the same applies when you are travelling with kids. Take refillable water bottles, buy ice creams by the pack in a local supermarket and read up on the sites you are visiting before you go to avoid paying extra for audio guides, activity packs or special exhibitions. Having an ‘eyes only’ policy for gift shops can also help keep extra spending at bay. Eat up kids, the BBQ’s on Grandpa! Instead of trying to get away every time the kids have a break from school, consider going less frequently but for longer, thereby consolidating costs of getting away in the first place. If you’re able to work remotely, you could travel for months, rather than weeks. Alternatively, consider the much-hyped ‘staycation’. Switching off and pretending you are on holiday while exploring your local area can be a fun family challenge. 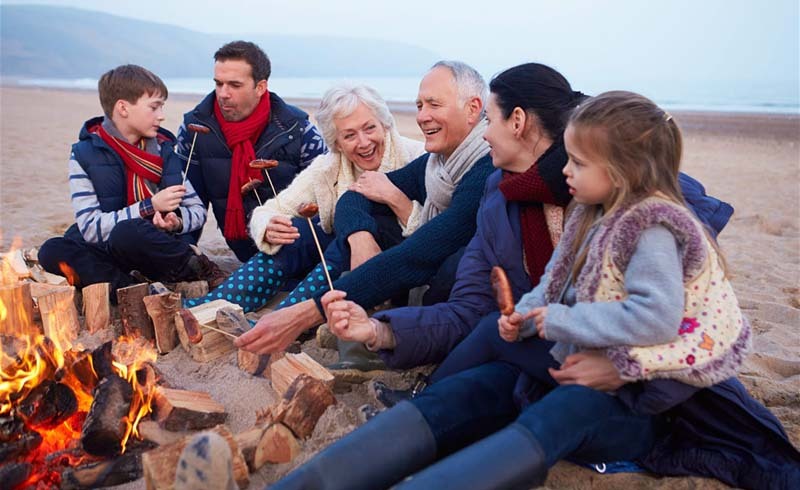 You could also try reconnecting with forgotten aunties who might just love to have your whole family descend on her for a week, or convincing grandparents that the perfect way to spend quality time with their grandchildren (and help you out in the process) is to join you on holiday. If an all-inclusive luxury resort or long-haul trip is beyond your bank balance, then it’s time to rethink what you really need to have an incredible experience when you travel. Could you swap a pricey villa with infinity pool for cheaper digs and the beach or public pool? Remember – kids are pretty easy to please and most will embrace any adventure you take them on, big or small. 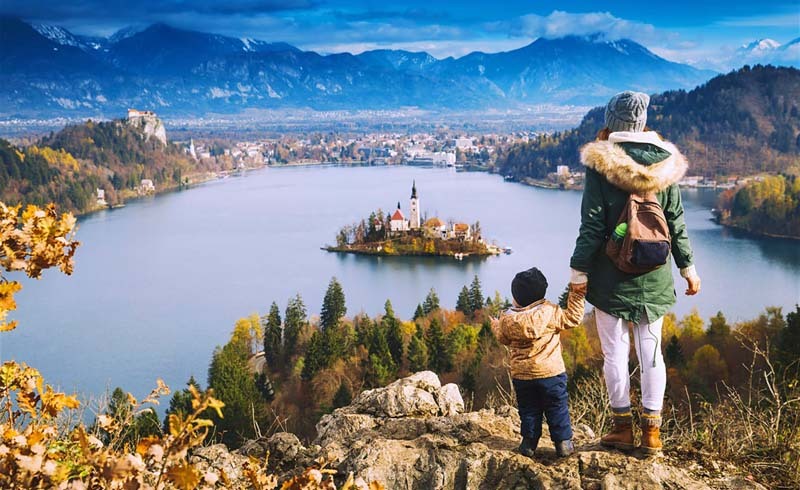 While it may take more planning and patience to travel on a shoestring with kids in tow, it is certainly doable and the collective challenge will benefit the whole family.